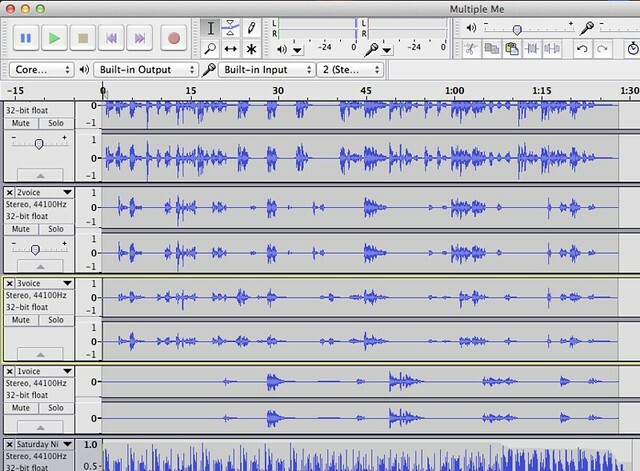 And actually, it’s pretty fascinating to see how your words become waves when you are using audio files in a system like Audacity. The peaks and valleys – the gaps of silence – all remind you that our voice is really nothing more than sounds on the audio spectrum. in order to make me whole. This entry was posted in Digiwrimo, Poetry and tagged #digiwrimo. Bookmark the permalink.